Many of us sleep with their mouths open and it’s not something we notice. Sometimes it’s just the way we’ve been doing it throughout our lives. But, remember how you felt the last time you had a cold. Breathing through the mouth is not so easy, right? And, yet we still do it even though it is bad for us. Fortunately, we have compiled this handy guide to show you exactly how to breathe through your nose while sleeping. Why Do People Sleep With Their Mouths Open? Why Shouldn’t We Breathe Through Our Mouths While Sleeping? What Else Can Wedge Pillows Be Used For? There can be multiple reasons for breathing through the mouth while sleeping, but that also can be a sign of some serious conditions. If you have noticed that you sleep with your mouth open, or somebody has pointed that out to you, you may be suffering from sleep apnea, allergies, asthma, chronic cold, deviated nasal septum or some other condition that requires a medical attention. The first thing to do in such a case is, of course, to pay a visit to your doctor. If everything is checked and no serious health issues are found then you can try to correct your breathing through the mouth while sleeping. Sleeping with an open mouth and breathing through it can be associated with a multitude of problems. First of all, the mouth dries and that can lead to anything starting with a mild discomfort when we wake up but can be the reason for a sore throat, bad breath, teeth decay. Breathing through the mouth can produce chronic fatigue (due to the lowered intake of oxygen through the lungs). It can even worsen the condition for asthma sufferers. The unnatural position of the lower jaw while sleeping with an open mouth can contribute to the tooth decay and can be a risk factor towards developing problems with the jaw joint. 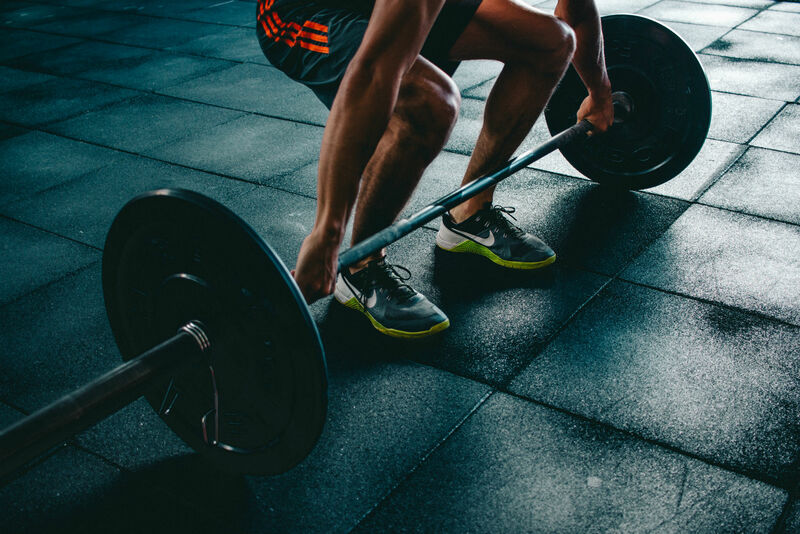 As is the case for many of life’s problems, exercise is the answer. General physical exercises (cardio exercises) can improve your breathing and improve the blood flow throughout the body. This can translate to easier breathing while asleep. Also, you can exercise breathing through your nose. If you notice that you are breathing through your mouth during the day, while awake remind yourself to close your mouth and breathe through your nose. Keeping a written reminder, or setting a reminder on your phone every half an hour or so can keep you in check while trying to breathe through your nose. The logic behind this is that if you breathe through your nose while awake, it would be easier to do that while sleeping. Additionally, you can train your body to stop breathing through your mouth by using the Buteyko Clinic Method. This system was developed in the 1950’s and can help strengthen your respiratory system, along with helping reduce the symptoms of wheezing, coughing, asthma, and more. Using this system can certainly help you breathe properly and through your nose. Because of the way our bodies are constructed, it is more difficult for the lungs to expel the air while lying on the back. You could try sleeping on your side and thus reduce the need to open the mouth in order to exhale. If sleeping on the side is uncomfortable for you, you could try sleeping with your head elevated. For this purpose, you could use multiple pillows or a pillow designed for correcting acid reflux and snoring called a reflux board or wedge pillow. We recommend using a specialized wedge pillow as opposed to standard pillows because it keeps you comfortably elevated throughout the entirety of the night. The problem with standard pillows is that even if you use a lot of them, they are prone to shifting throughout the night and you may find yourself back in your standard position, thus breathing through your mouth again. If you use a wedge pillow, it keeps your body elevated, thus helping to open up your airwaves which can have a tremendously positive effect on breathing through your nose. Keep in mind it may take a few nights to adjust to sleeping on a bed wedge, but once you do, you will certainly sleep better. The logic is simple – if you close your mouth you would have to breathe through the nose. There are many products that do this, although they are mostly intended for people who snore, which is oftentimes correlated to breathing through your mouth while sleeping. Most of the people who have trouble with their breathing during their sleep are overweight. The consequences of increased body weight are widely known, so there is no need to go into all of that here. However, the extra fat and weight around the neck can press on the airways during the night, and make it harder for air breathed in through the nose to reach the lungs. Being overweight is associated with snoring and sleep apnea, among other things. 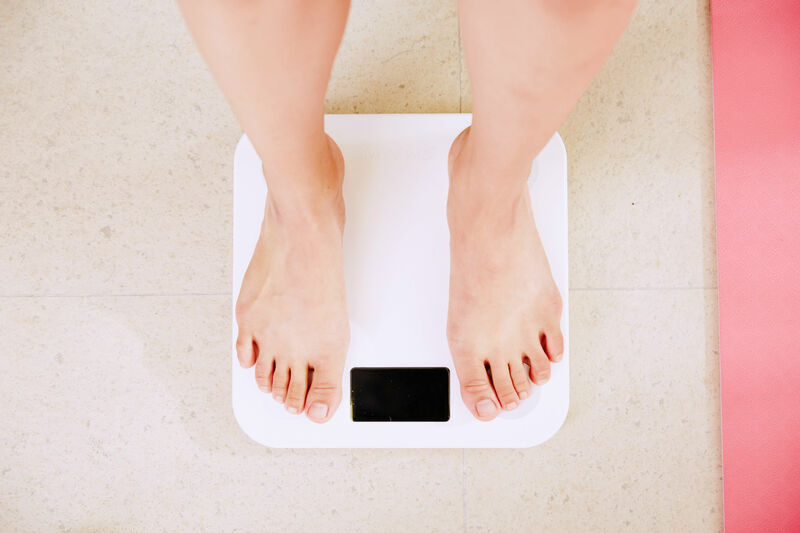 Talk to your doctor about healthy ways to lose weight and enjoy all of the benefits associated with a healthier lifestyle, including better breathing at night. It may sound obvious, but one easy and quick thing you can do is to make breathing through your nose an easier experience. This can be accomplished in a few ways. First, the reason for the nasal congestion must be discovered. Whether it’s anatomical or allergy induced, a visit to the doctor is needed. If you know that you suffer from allergies, or if you suspect it you should remove allergens from your sleep area. It goes without mention that regular dusting and cleaning is important, but for allergy sufferers, the threshold is a bit higher. Regular dusting and/or vacuuming every 2-3 days and changing the linens frequently can help to reduce the allergy and thus reduce the need to breathe through the mouth while sleeping. The reason here is simple. The mouth isn’t made for breathing. Yes, it is true that we can breathe through it, but it doesn’t mean that we should. Our nose is primarily made for breathing through. It warms the air we breathe, it cleanses it and the absorption of oxygen by the lungs is greater when we breathe through the nose. When we breathe through the mouth, we deny our body all the benefits that nose breathing offers. In addition to helping open up your current airways, wedge pillows can help with a variety of different ailments such as sleeping while dealing with sinus congestion, vertigo, snoring, and more. Sleeping with your mouth open and breathing through it can be the cause for unrest for you and those around you. It may be a sign of a serious medical condition, so please go to your doctor if you know that you sleep with an open mouth. Even if everything is okay, and you just do it out of habit, it should be corrected because it can lead from mildly irritating to serious health conditions. 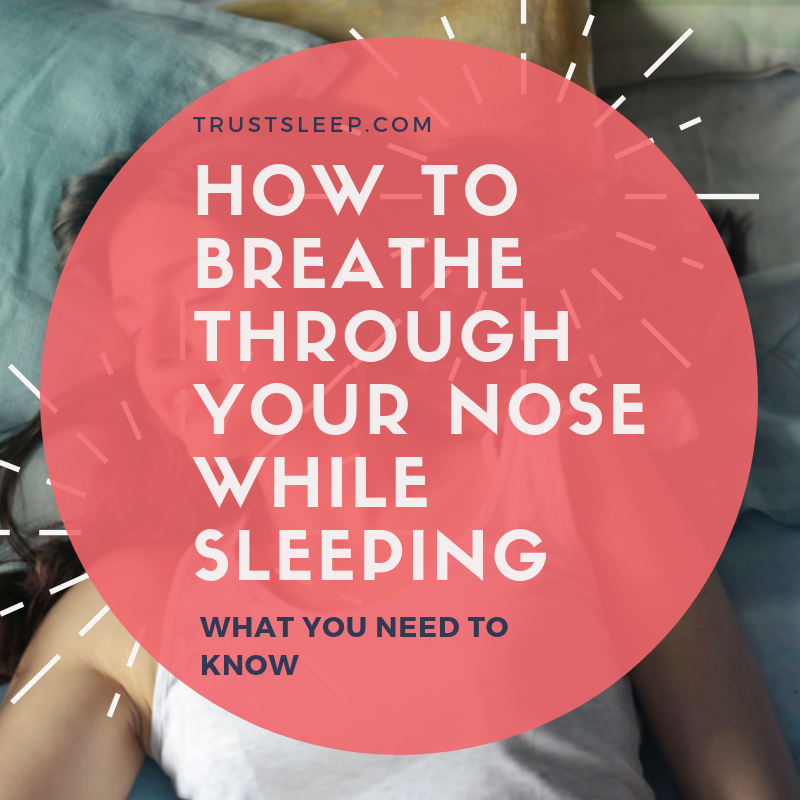 Thank you for taking the time to read this article on how to breathe through the nose while sleeping.